Nurses across the country today, 12 May, have been remembering Florence Nightingale's birthday which also now marks International Nurses Day. There have been demonstrations around New Zealand, with nurses asking for better conditions. Sadly somethings never change, and nurses over the decades have fought for better pay and work conditions. While researching for a photograph of the last graduation class at Thames School of Nursing, I came across a photo of interest that appeared in the Thames Star 14 February 1989. Back in 1989, Nurses made headlines by striking for better conditions. A last and desperate measure to get their voices then heard. 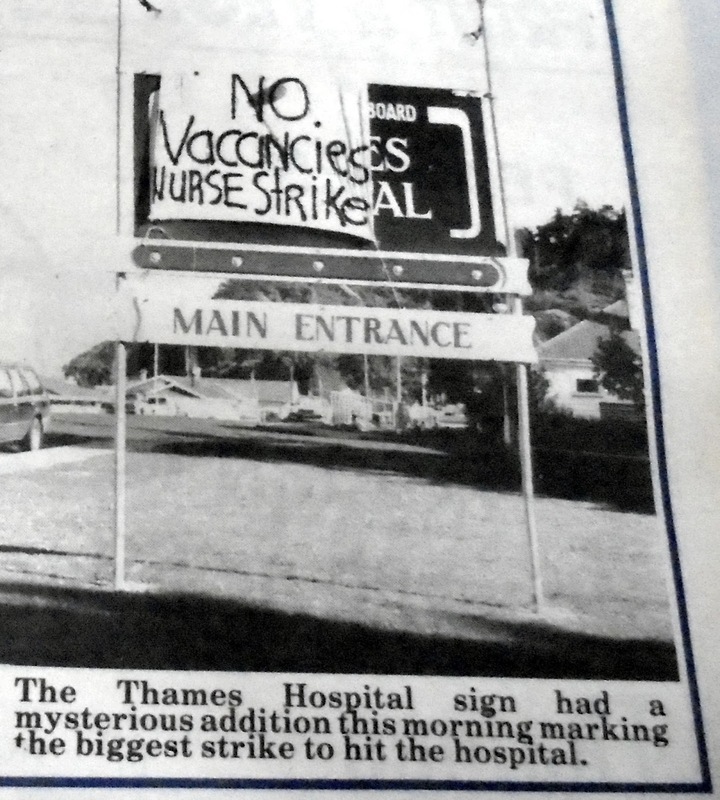 There was a 24 Health Sector strike, workers at Thames voted to join the collective action. Miss Robertshawe was Chief Nurse and the time and Dr Ian McPherson Acting General Manager.